Fancy looking more diva than girl-next-door on the beach this summer? We have the latest, bang on trend hair accessories to crown your luscious locks in the sun. Discover your favourite hair accessory, and see how to apply these amazing barrettes to any hair-do. It’s all about the flowers this summer – the more hippy the better. 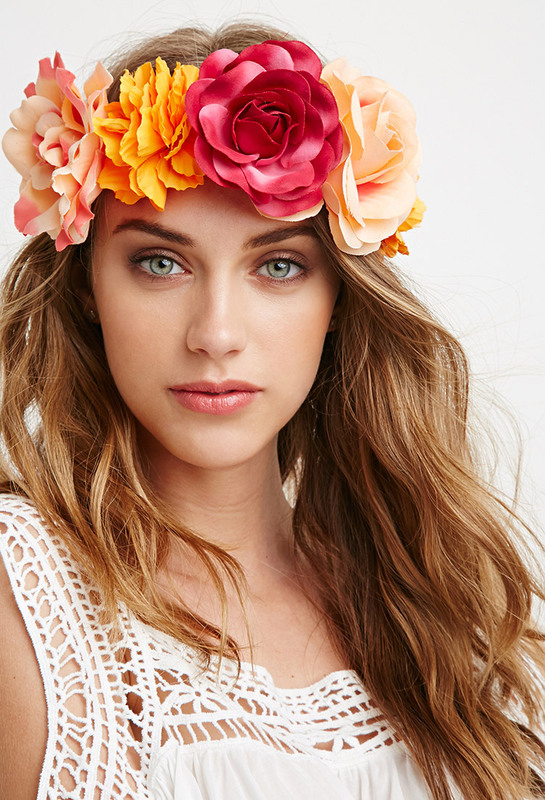 Whether you fancy just a few flowers or something almost the size of a bouquet, there are flower crowns of every shape and size. Circle styled barrettes took the world by storm at Celine. Ok, so if you decide to go uber-diva, then opt for the gorgeous and much sought after Chanel circle clip, at around £300. However, if your wallet won’t quite stretch to that, you can pick up a similar hair accessory from most fashion stores. Yes, you heard right – leather flowers are bang on trend this season. There is a huge variety to choose from, and they are likely to last longer than the real thing. Dolce and Gabbana stole the show on the runway with these fabulous shell hair accessories. Dazzle in the summer sun with these beautiful gold shells. If you prefer the minimalist look, these are oh so simple, yet brimming with beauty. Headbands never really go out of style, but this season they are everywhere, in every size and style. Whatever your preference, you will be able to find a headband to fit your personality. This season’s must have are minimalist clips. Super-sleek, gorgeous, and professional, they are the perfect accessory for work and play.